The webinar titled “Helping Your Customers with App Modernization” will showcase best practices of how to continually support your customer’s changing enterprise needs while aligning to compliance & security standards. 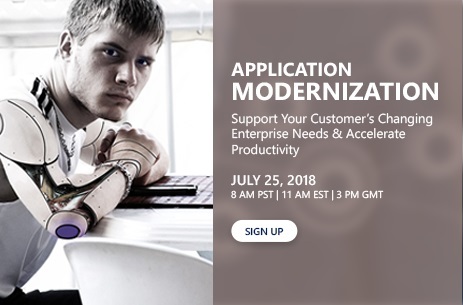 San Jose, US — July 18, 2018 – Rishabh Software, a digital transformation company will host a webinar – “Helping Your Customers with App Modernization” to discuss the challenges faced by enterprises with app modernization and share the best practices with the right approach. Scheduled for Wednesday, July 25, 2018, 8 AM PT / 11 AM ET / 3 PM GMT; it will feature Kandarp Shah, Practice Head – App Modernization from Rishabh Software. The IT organizations still relying on the legacy platforms and traditional development processes usually struggle to cope up with the competitive pressure and not meet the changing demands of their customers. 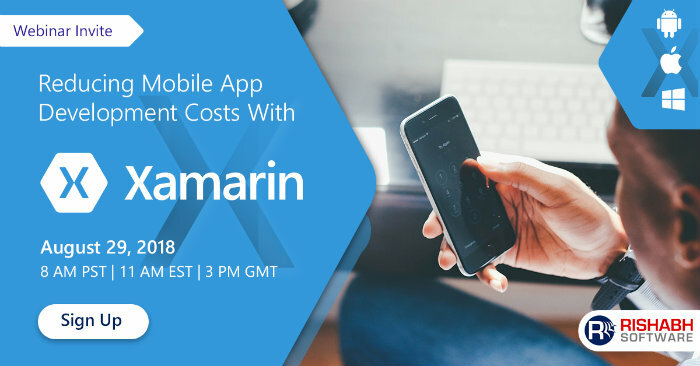 The upcoming webinar will attempt to provide a solution to better address customer challenges faced with such legacy applications around low application performance, usability, with higher employee training costs, low productivity and lack of user experience. “Application Modernization comprises of contemporary methodologies that help unlock the inherent value of the organization’s IT state. It further enhances the flexibility of individual applications by providing improved interoperability between the existing legacy systems, and newly-migrated business functionality, with related external systems. It is with the objective of preserving the business value of legacy assets and its intellectual capital while reducing the costs and complexity for organization’s applications portfolio.” said Raju Shah, CEO – Rishabh Software. “With an acute focus on App Modernization, our channel partnership program helps enterprises leverage our services and solve their challenges of time-intensive development cycles” he added. New applications fuel an organization’s growth and productivity by automating their critical business processes for faster delivery of applications while increasing their efficiency and cost savings. Though, inevitably, the cutting-edge technology of today will become the legacy application of tomorrow. It is when the apps may continue to support the core business processes with a majority of an organization’s application asset. Application modernization is a pre-requisite for today’s businesses, and while many organizations are interested in this transition, the session will attempt to answer “Where and how to begin?” It will also showcase/discuss some of the best practice from Rishabh’s successful app modernization projects to help attendees get started on their digital transformation journey. 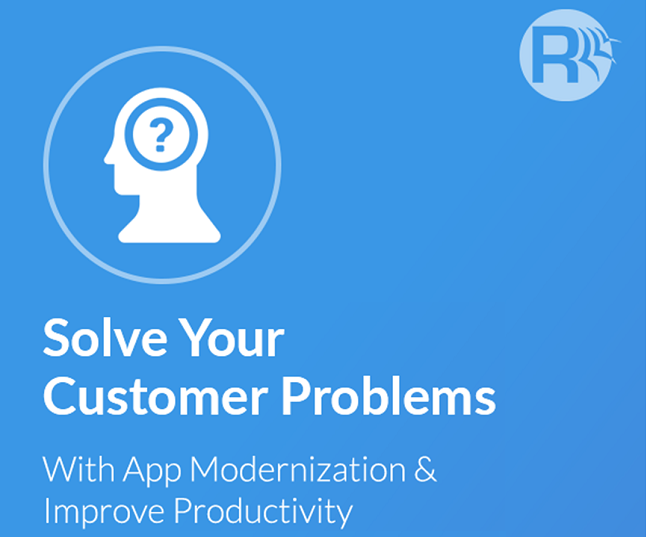 Join us to learn how to overcome such challenges with our App Modernization Webinar. Rishabh Software is a CMMI 3, ISO:9001, ISO:27001 enterprise providing software, mobile development, and testing services for building and deploying Microsoft applications, Web-based applications, Web services and integration, Workflow applications, E-commerce frameworks and Mixed-mode applications (pre .NET and .NET technologies, .NET with third-party components). We operate from offices in US, UK & India with a team of close to 500 employees, successfully executing 1000+ projects globally.